TripAdvisor. Airbnb. BlaBlaCar. We live in an online world increasingly powered by the star-ratings economy. Whenever we want to try a new restaurant, find a room for rent or catch a ride, we can rely on the user-generated content evaluating the place or service we’re looking for. So users can help each other out by sharing their information and experiences, in a continuously growing virtual village built on the rules of online reputation. In our everyday life, we are encouraged to virtually score every interaction we make – from the quality of a food delivery to a call centre service. And we tend to trust what we find in users’ ratings. But what is reputation, and why is it so important? 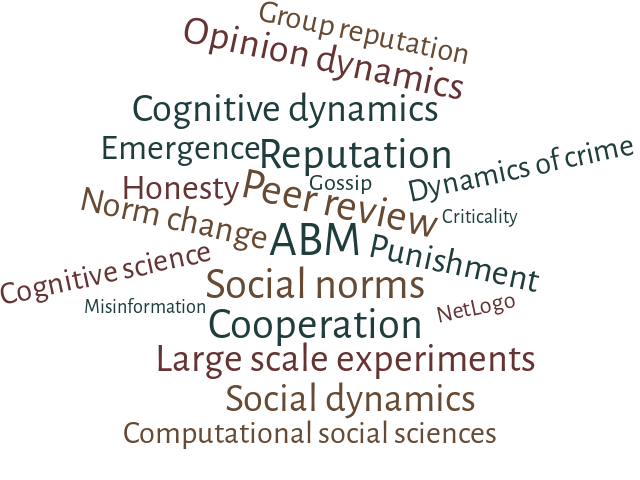 Here at the LABSS we study reputation – including online reputation – as a social artifact, that shares with norms, responsibility, power, and trust the characteristic of making sense only in a social context. We have developed a computational and cognitive model of reputation, aiming at providing theory-driven and empirically backed up guidelines for designing reputation technology. We believe that reputation is a key ingredient for understanding society, and its study can help us finding a path in the complex and fascinating world of people’s opinions and beliefs.